Yarn Type SALE 29% OFF! Inspired by the Faroe Isles and comes in a range of natural multi-coloured shades for all the family. Faroe Chunky is great for casual hand knits for everyone to wear with their jeans and boots on a breezy day out. It has a machine washable blend of 60% acrylic, 25% cotton, 15% wool. Faroe Chunky knits to all of Sirdar's chunky patterns. 20 designs using Faroe Chunky for all the family from 2 years to adult. 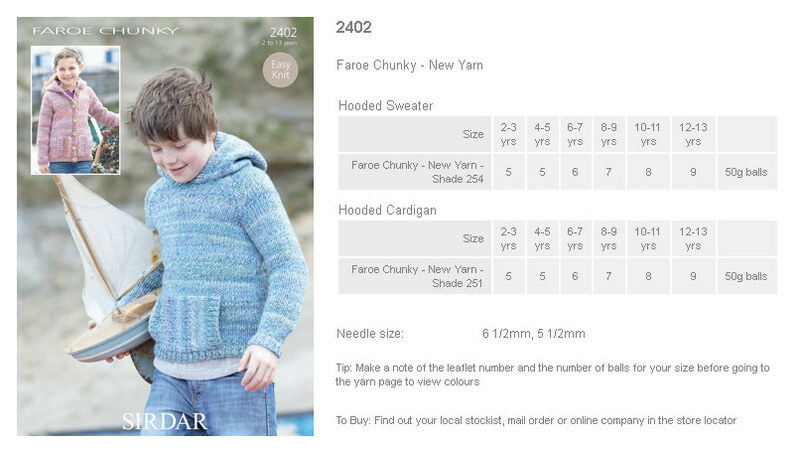 Leaflet with designs for a Hooded Sweater and Shawl Collared Cardigan using Sirdar Faroe Chunky. 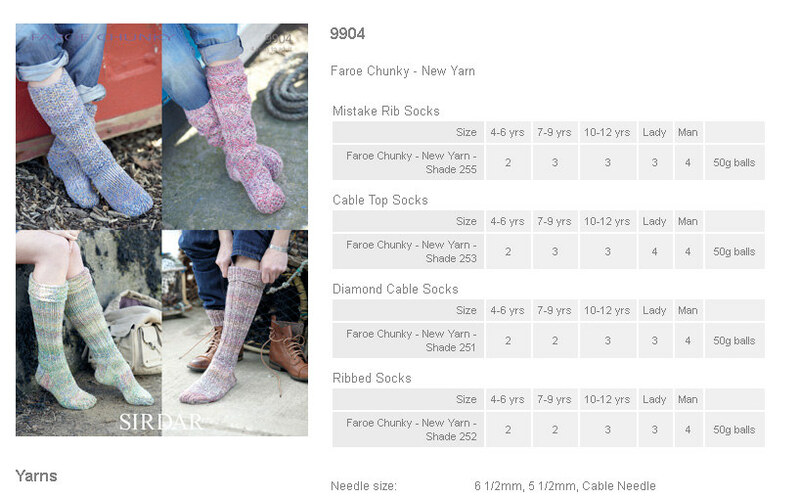 Leaflet with designs for Mistake Rib Socks, Cable Top Socks, Diamond Cable Socks and Ribbed Socks using Sirdar Faroe Chunky. 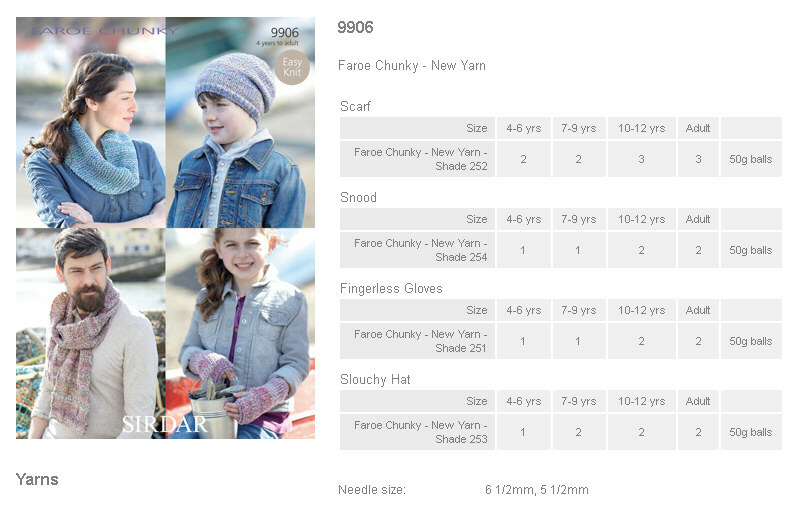 Leaflet with designs for a Scarf, Snood, Fingerless Gloves and Slouchy Hat using Sirdar Faroe Chunky. 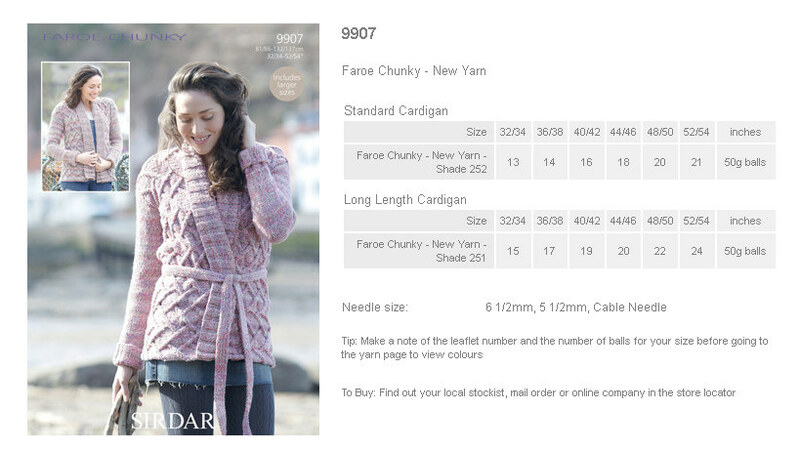 Leaflet with designs for a Standard Cardigan and Long Length Cardigan using Sirdar Faroe Chunky. 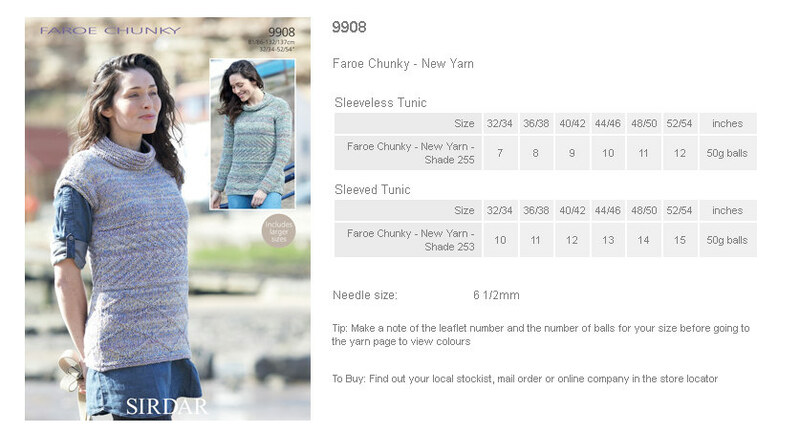 Leaflet with designs for a Sleeveless Tunic and Sleeved Tunic using Sirdar Faroe Chunky. 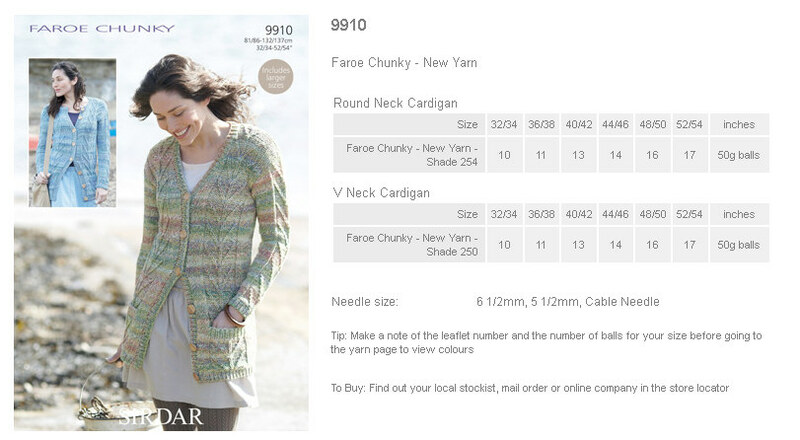 Leaflet with designs for a Round Neck Cardigan and V Neck Cardigan using Sirdar Faroe Chunky.